Stunning toffee coloured brown carnelian pendant. This pendant is has a superb smooth delicious natural carnelian stone, 18mm long oval. 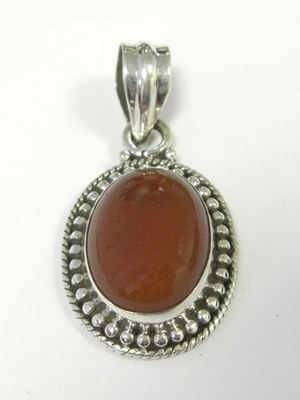 The carnelian is set in wonderful silver with a beautiful pattern around it. The nice plain silver bail has plenty of room for threading onto a good chain or even a pretty velvet or silk ribbon.